Laura completed her massage therapy education at West Coast College of Massage Therapy in New Westminster. Laura has experience working in both clinical and spa settings. Laura is trained in therapeutic and relaxation massage, and uses a variety of techniques to help her clients, including: Swedish massage, neuromuscular therapy, trigger point therapy, myofascial release, and hydrotherapy. 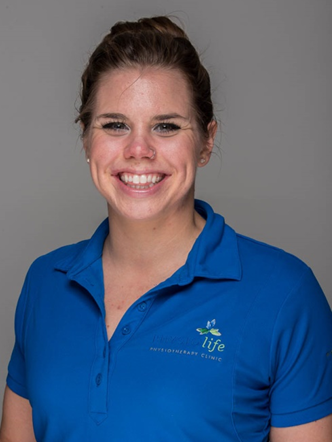 Laura places a strong emphasis on building relationships with her clients, with a focus on patient rehabilitation or helping clients maintain their health. A treatment with Laura includes a full assessment (for the first treatment), hands on treatment and home care instruction. Laura has a special interest in treating pre-natal and post-partum women. When not at the clinic, Laura can be found on the sidelines as an assistant coach of the Columbia Bible College Women’s Volleyball team. Laura also recently completed her first half marathon and looks forward to completing several more! Laura enjoys spending time with her family and friends, baking, and (when she can) enjoys reading a good book.